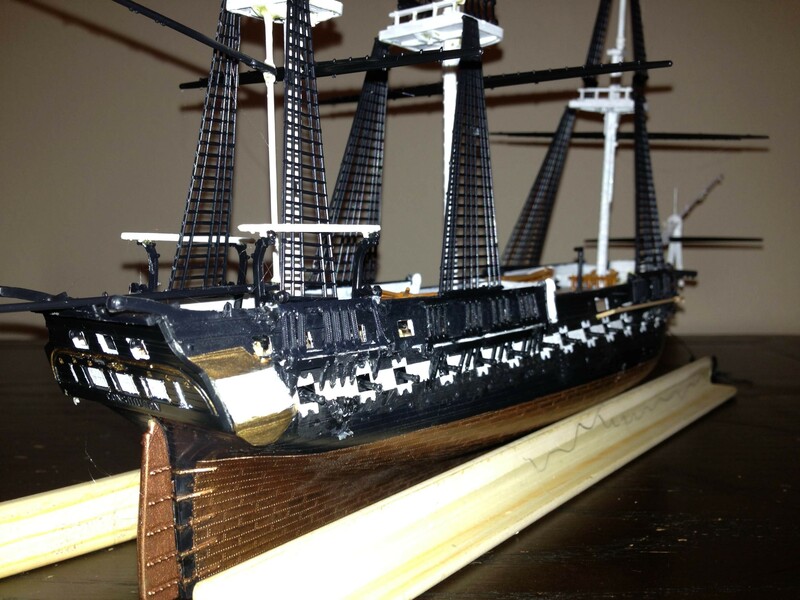 Sadly, I failed to finish building my model of the USS Constitution by January 31st. I got as far as what you see below by Wednesday night. I planned to attach the sails and rigging on Thursday. Instead, I realized I didn’t have any sewing needles and didn’t feel like going out to buy any that night. So much for resolve. Good thing better men worked on the real thing. The stand that came with the model is garbage and can’t hold the ship, so I’m stuck using two pieces of balsa wood to prop it up. I’ll have to come up with something purtier. The masts are warped, a testament to the cheapness of the materials. The mizzenmast was so warped that the correct piece of plastic rigging couldn’t connect to it properly, so I had to cut up a larger piece of leftover rigging. The painting instructions were screwy. They called for some pieces to be painted a particular color only to find that the picture on the box showed them to be painted a different color. Other pieces had no painting instruction, so I had to refer to the box again. And I’m not that good a painter to start off with: I had to go back over some white, gold, and copper with black. I left the name of the ship unpainted because I don’t have the fine motor control to paint letters only 2 mm tall. But the ship does stand. 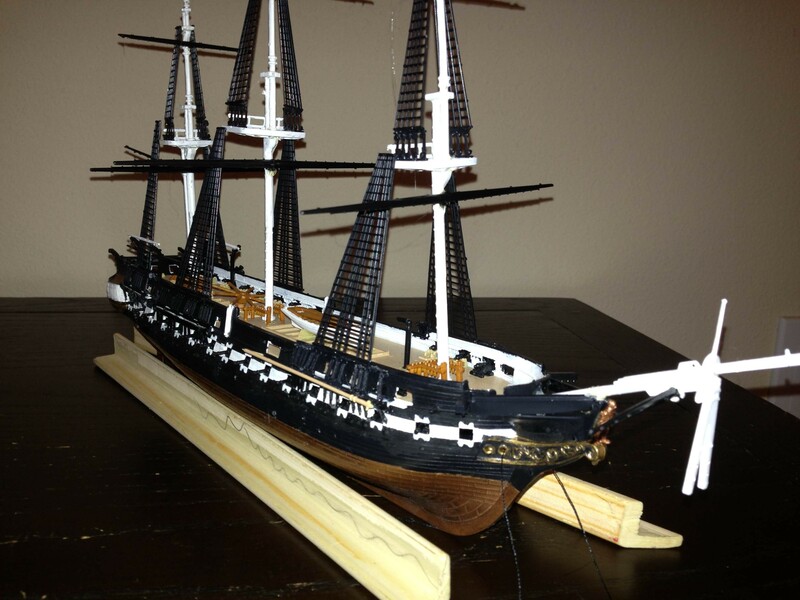 I’ll finish up the sails and rigging this week, and have it over the mantle by next weekend. ← The Suicide Iron, revisited.